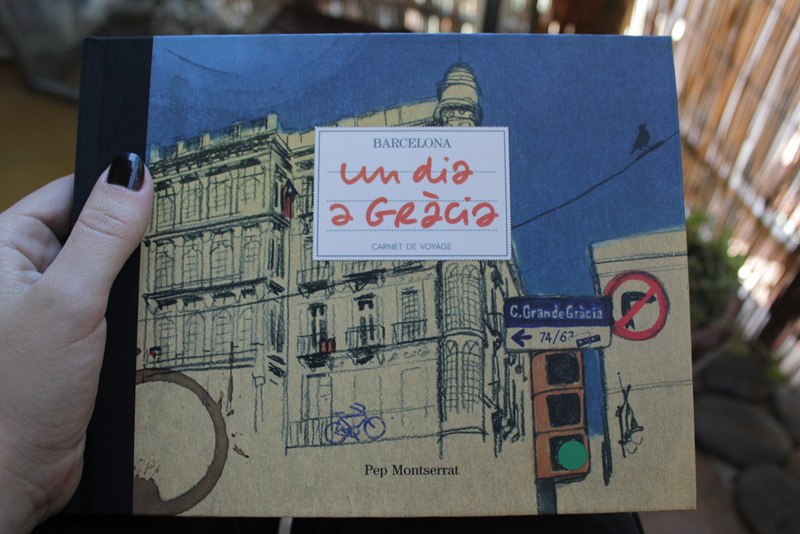 Recently I came across this beautifully illustrated book “A day in Gracia”. I recall when I first moved to Barcelona, I lived closer to the old city and the beach, Gracia, further up the hill seemed a mountain away (but really only 10 mins on the tube). 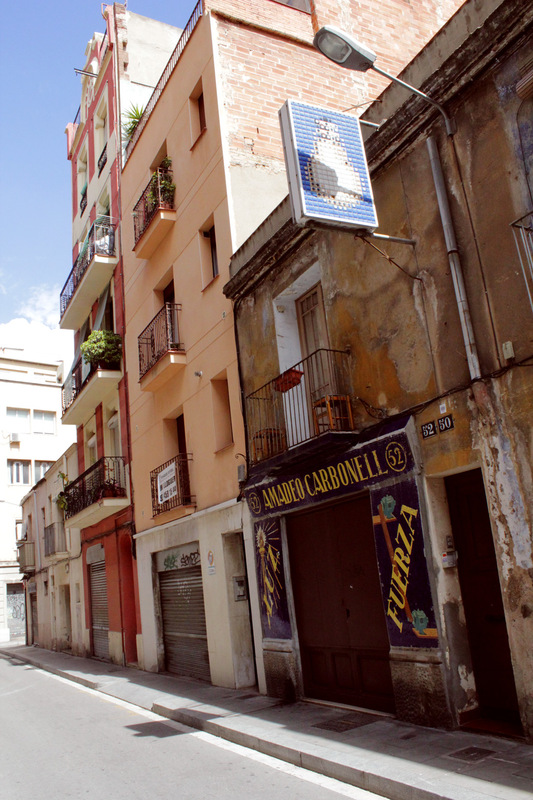 Barcelona is a pretty small city, and each area or “barrio” pretty much has everything you need, a supermarket, a fresh food market, a hardware store, convenient stores, bars, restaurants, and the list goes on. Each neighbourhood has it’s own flavour and pros and cons, and everything joins into each other, like a jigsaw puzzle. Because each piece is pretty self sufficient, you need quite a good reason to travel to another part, even if it is only ten minutes away. In Summer the beach invites you to cool off, and the views on Montjuic invite picnicking, but it took quite a bit of convincing to get me up the hill to Gracia. When we did, however, the barrio grew on me. Filled with lovely sun speckled plazas, an interesting artistic vibe as well as a distinct villagey feel. We eventually moved up the hill, and everyday I find something new that I like! 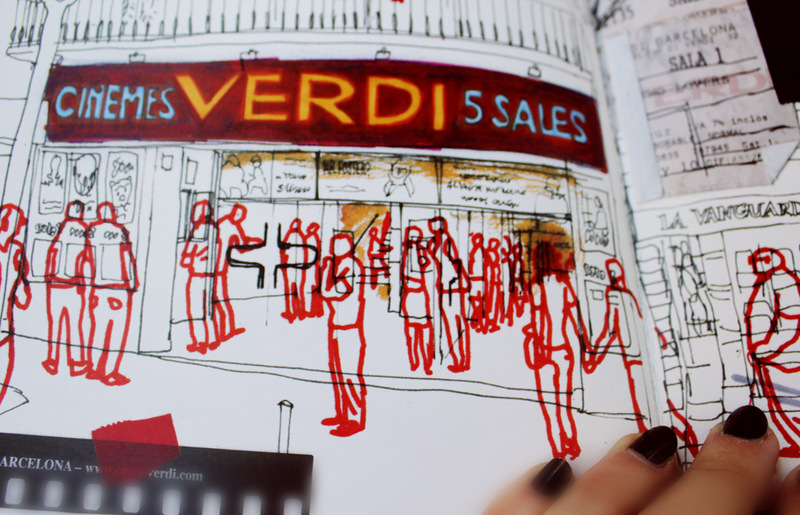 When I saw the illustrated pages, I immediately bought Pep Montserrat‘s book for Milos as a memento of living here. 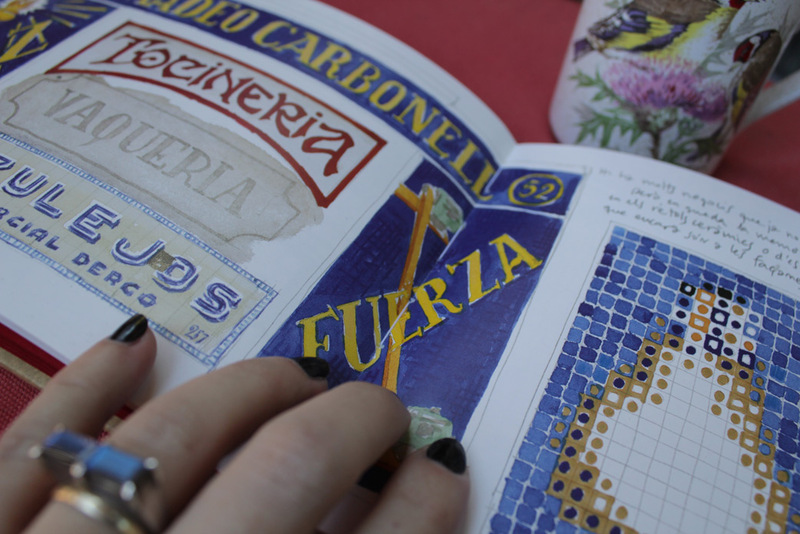 Each illustration holds a little snippet of the places, textures and corners of Gracia. From the vintage signage to the original fountains in the plazas. 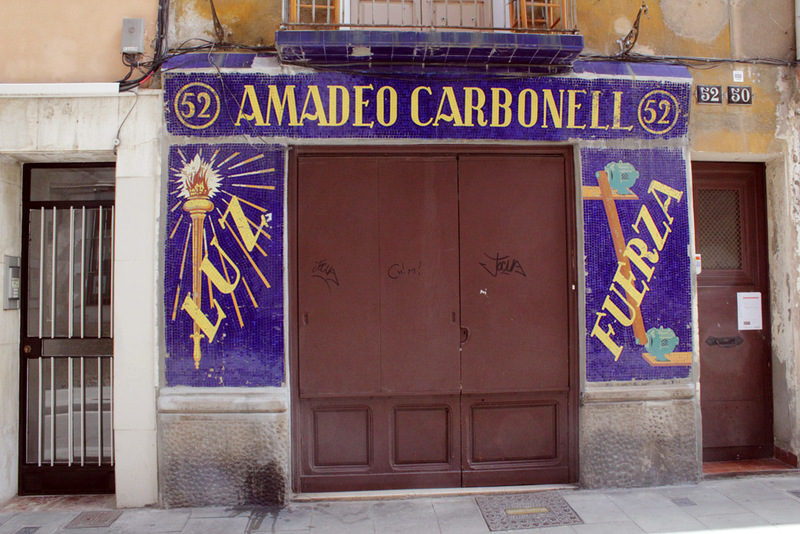 If you ever visit Barcelona, I would definitely recommend “A day in Gracia”! 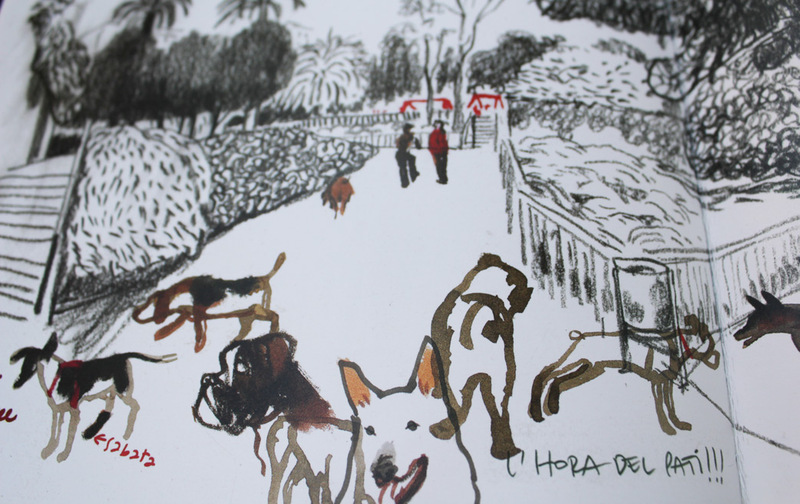 Tags: art, barcelona, gracia, illustration, living abroad, neighborhood, pep montserrat, spain, travel, village. Bookmark the permalink.